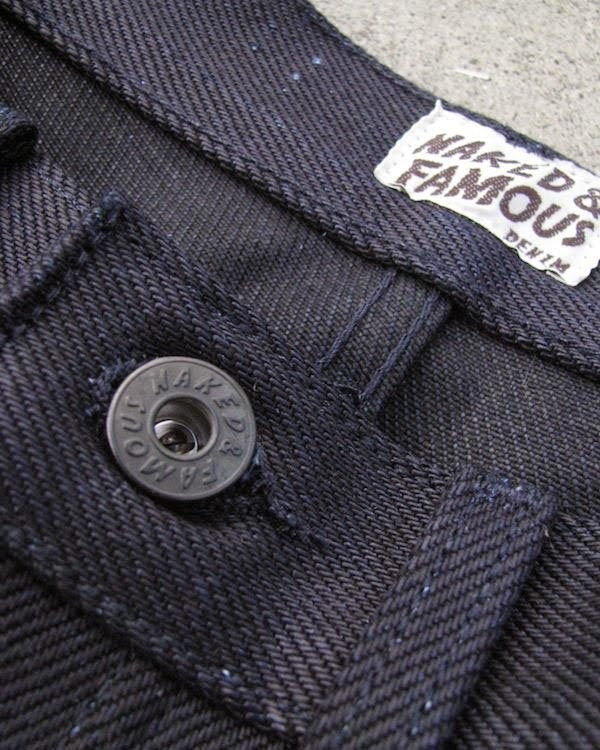 Naked and Famous is a Quebec based label known for pushing the envelope through an emphasis on quality products and unique choice of fabrics. 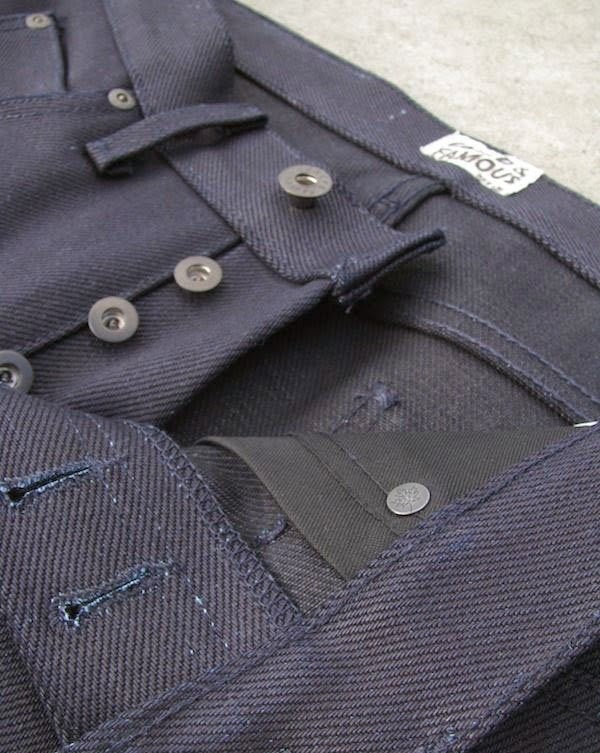 From fabric blends such as Kevlar, cashmere, silk, and wool, to red and blue weft, they have made jeans and shirts with the most creative fabrics that any brand has used. 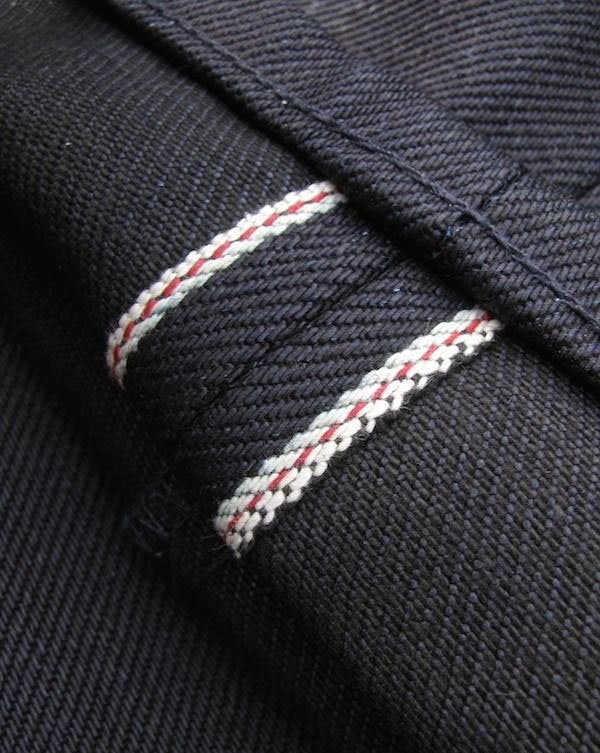 There are no washes, and no embroidery, just some of the best fabrics in the world combined with modern fits. The Beast is Back! 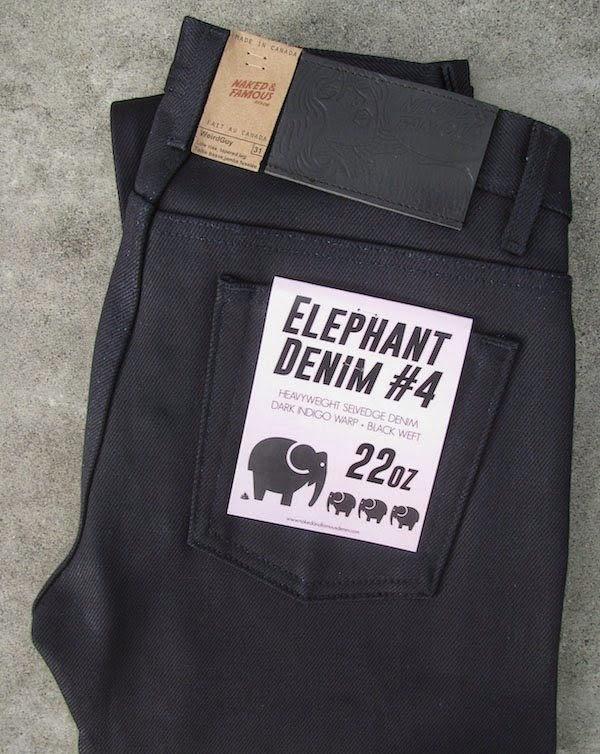 The fourth generation of the Naked & Famous elephant fabric clocks in at 22oz and features a super dark deep indigo warp with a black weft. 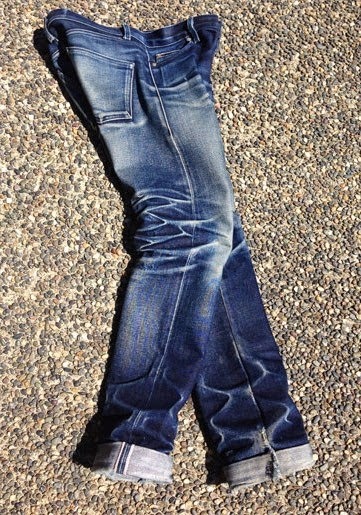 Great color that will result in stark electric blue fades. 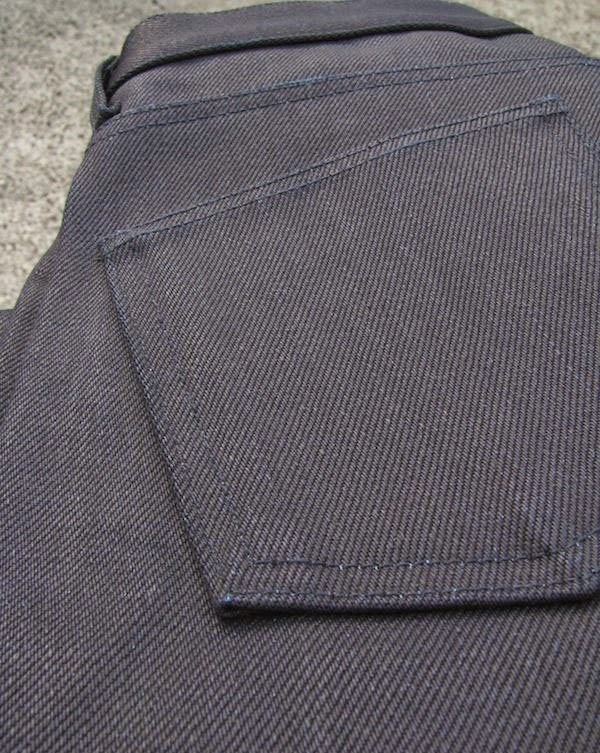 The "Weird Guy" fit runs slim in the top block, has a touch of room in the thigh, has a medium rise, and tapers from the knee to the leg opening. 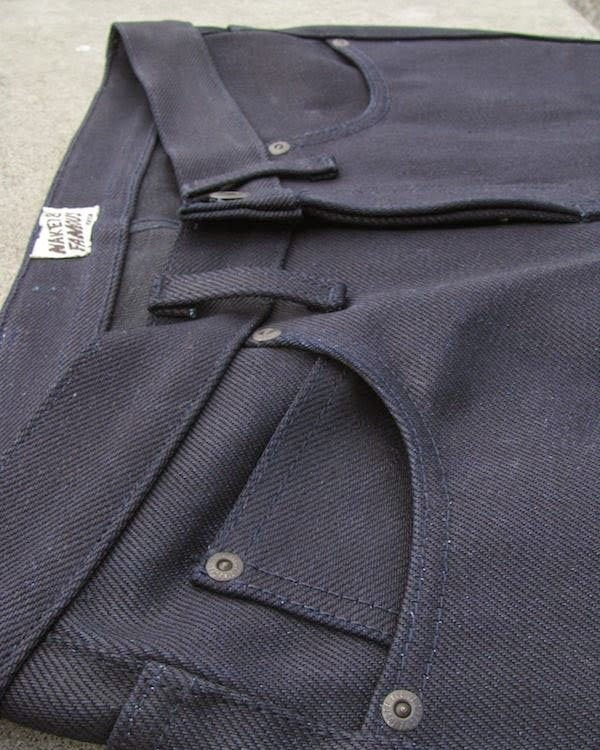 Uses a 22oz sanforized selvedge denim woven on vintage shuttle looms in Japan. 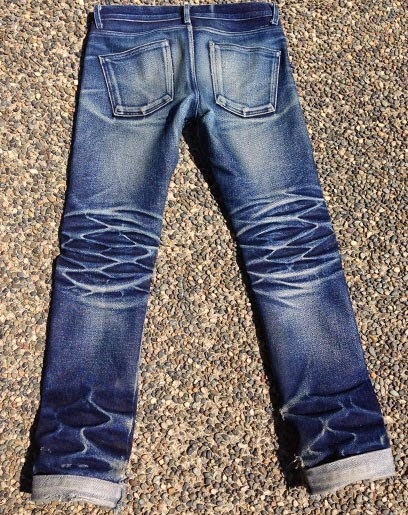 28 29.5" 10.25" 10.75" 8" 34.25" 7"
29 31" 10.25" 11.25" 8" 34.25" 7"
30 31" 10.5" 11.5" 8.15" 34.25" 7.25"
31 32.5" 10.5" 11.65" 8.35" 34.25" 7.4"
32 33.25" 10.5" 11.85" 8.65" 34.25" 7.75"
33 34" 10.75" 12.2" 8.85" 34.25" 8"
34 35" 10.85" 12.5" 9.15" 34.25" 8"
36 37.5" 11.25" 12.85" 9.5" 34.25" 8.5"
38 38" 11.5" 13.35" 9.85" 34.25" 8.75"